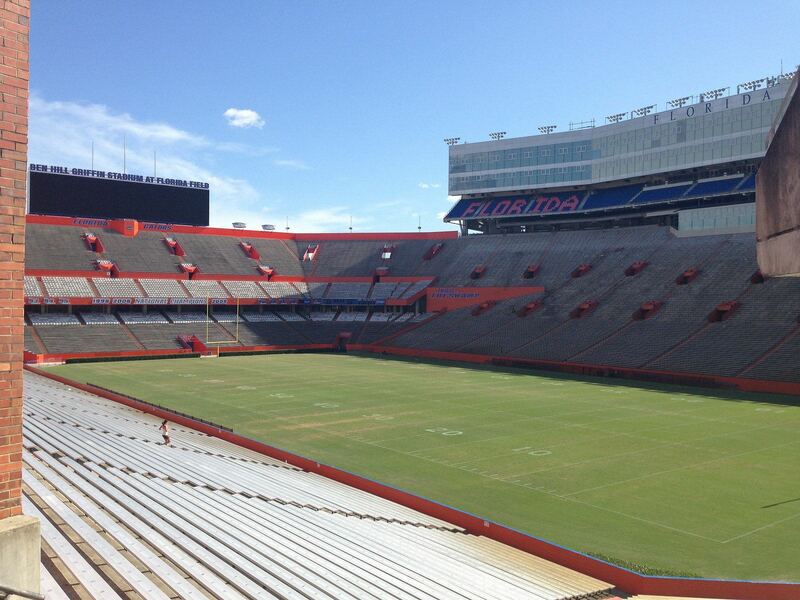 It’s called The Swamp by fans and that’s not an insult earned by potentially low standard. 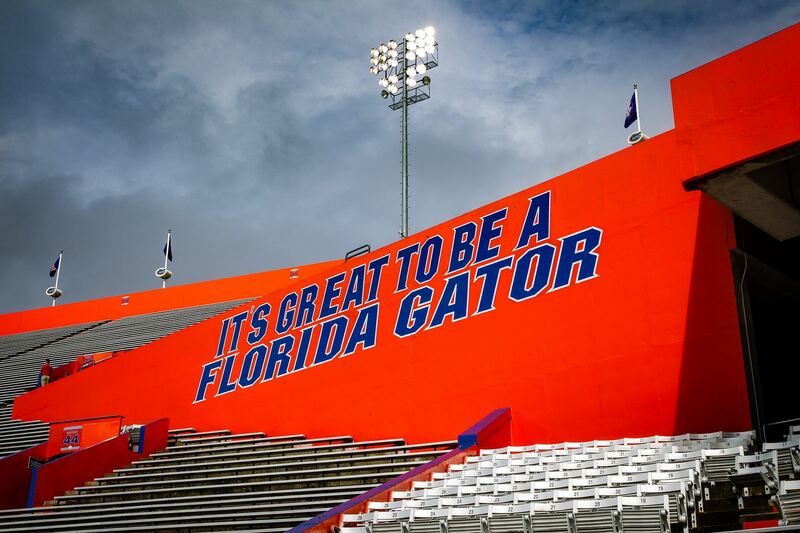 This nickname was coined by Gators coach in 1990s. 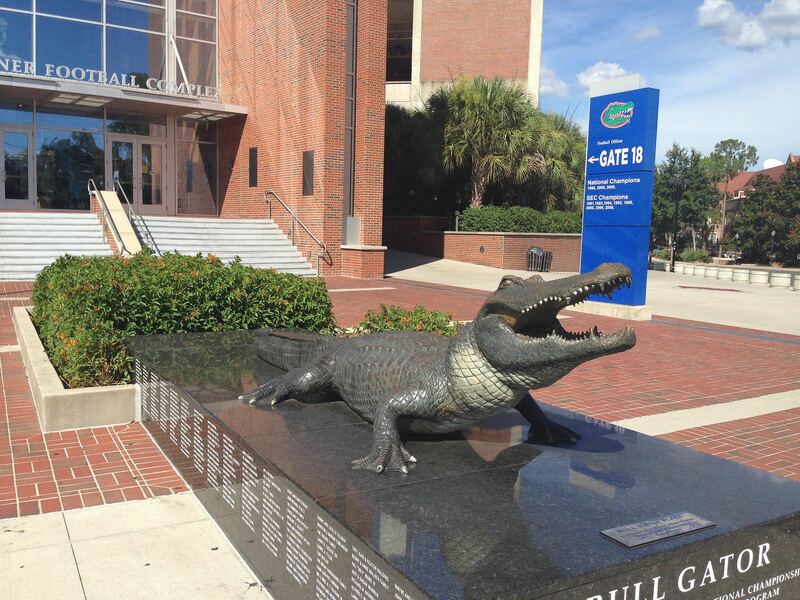 He considered it a hostile environment for traveling teams, just like the actual alligator habitat is for people. 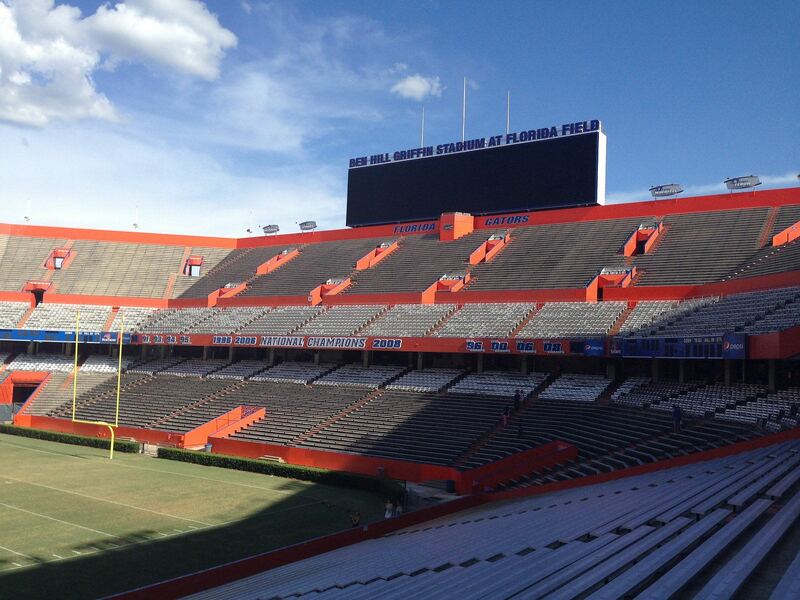 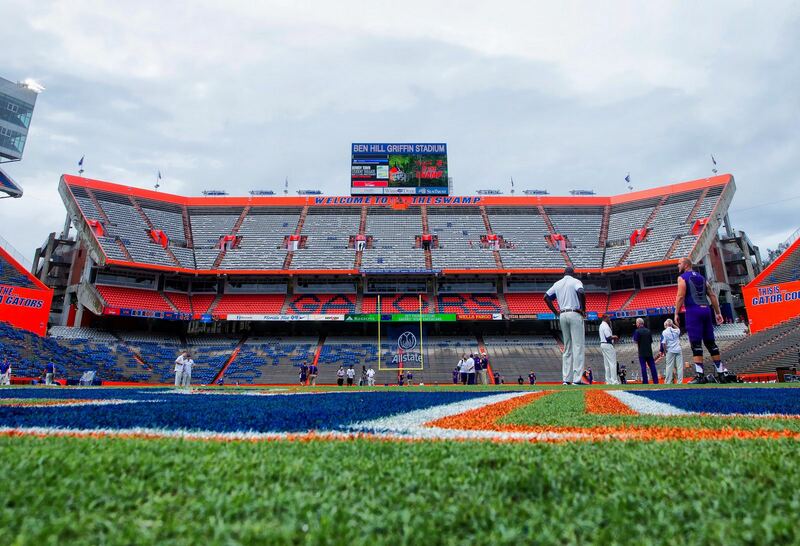 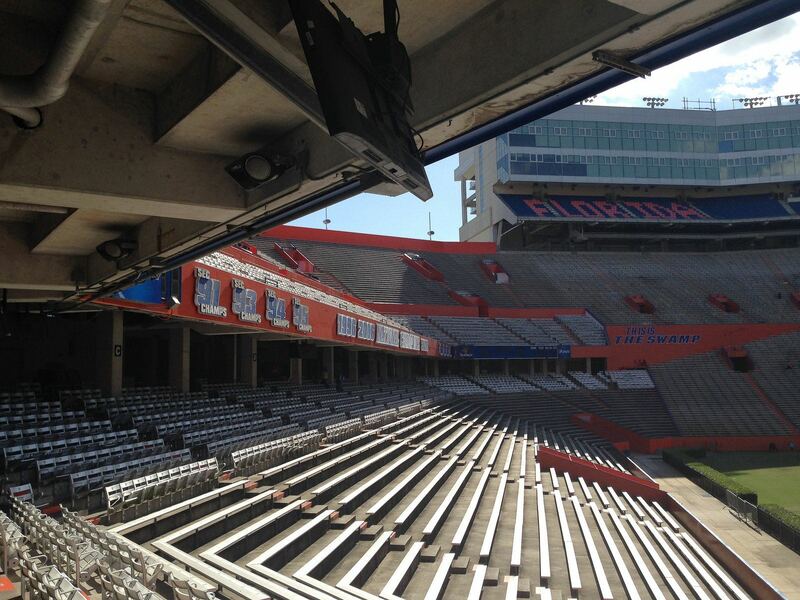 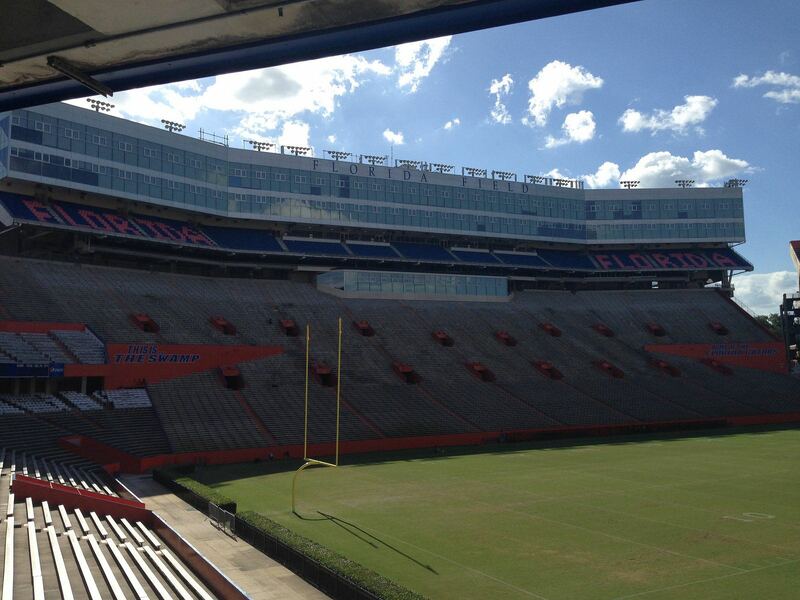 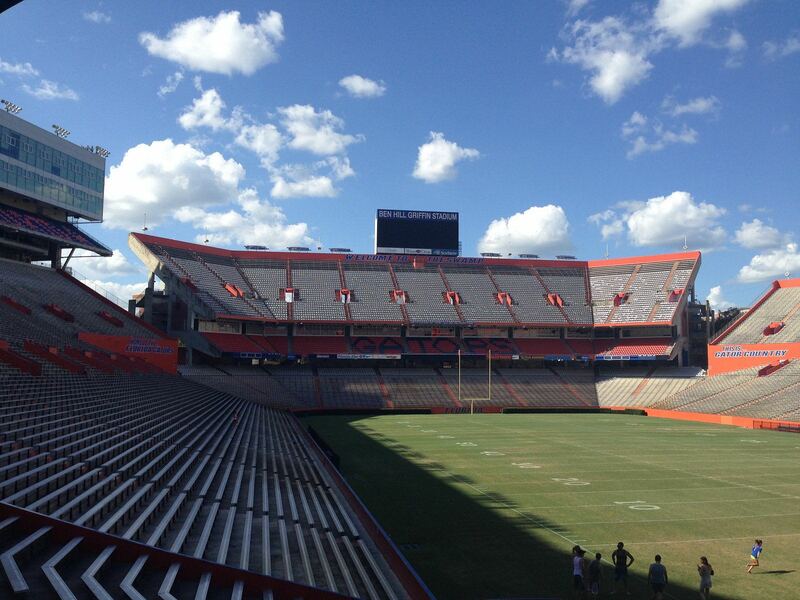 That said, the stadium in Gainsville has a swampy feel to it, regardless of Florida’s humidity and temperatures. When it was under construction in 1930, stands were created in a sunken bowl, which was turned into an actual swamp by high water table before proper drainage was created. 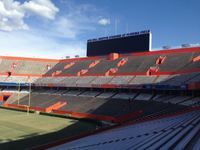 Despite such issues the stadium was delivered in time, which means only half a year of works! 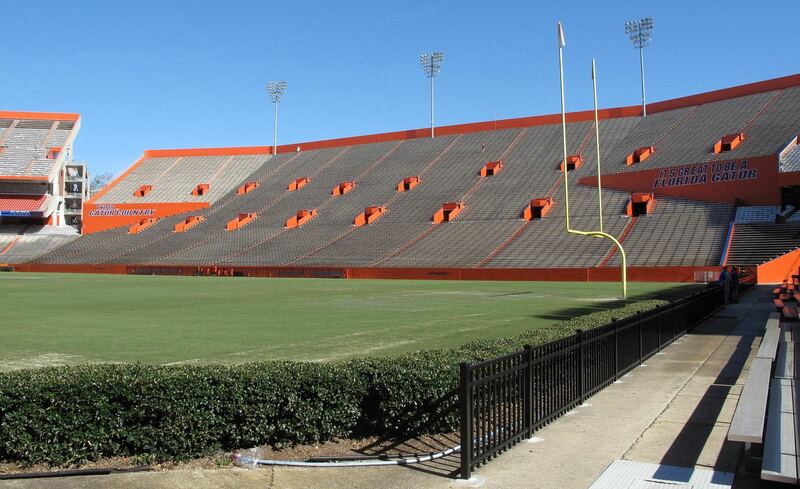 At the very beginning it had horseshoe stands (south end open) able to hold 21,000+. 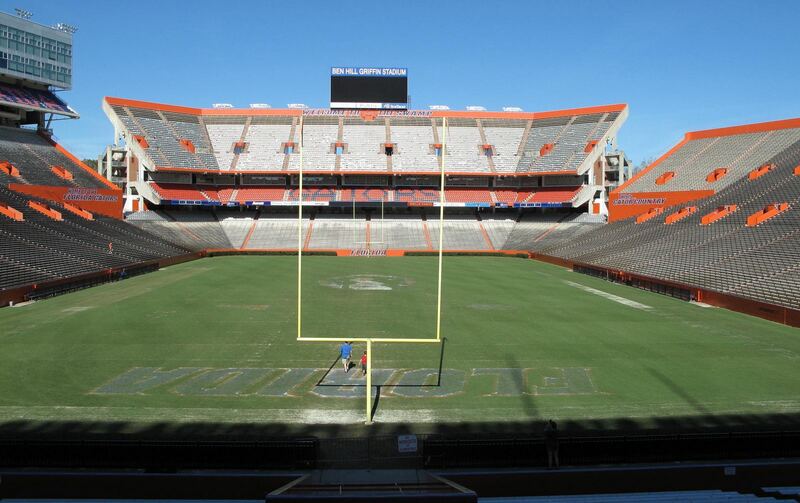 These 32 rows below ground level still exist and became base for future expansions. In 1950 and 1965 10,000-11,000 seats were added in the west and east, respectively, extending the single tier upwards. 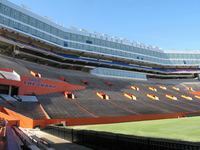 South side had mostly temporary bleachers at that time, which changed with a vast double-tiered stand being delivered in 1982. Together with a new upper deck added to the north end (1991), the stadium was able to exceed 80,000. 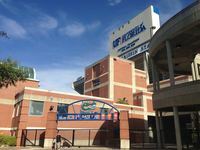 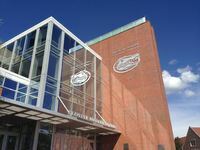 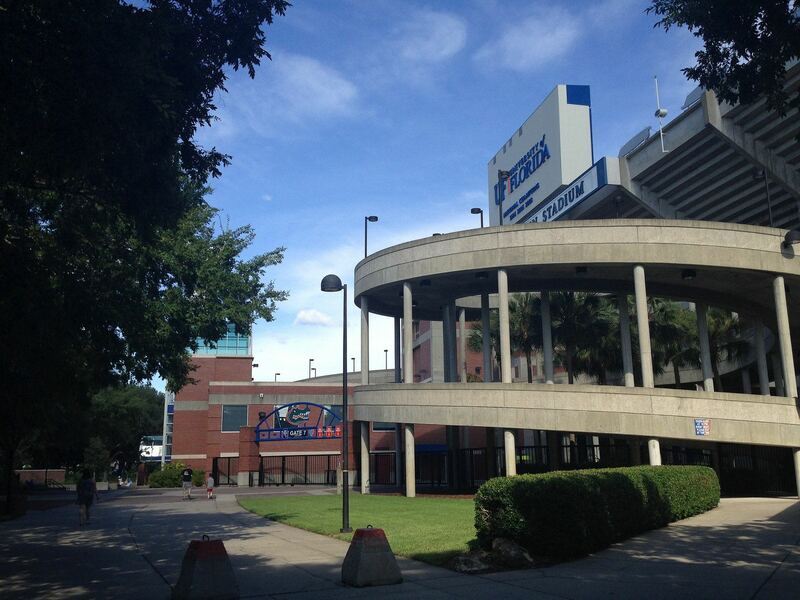 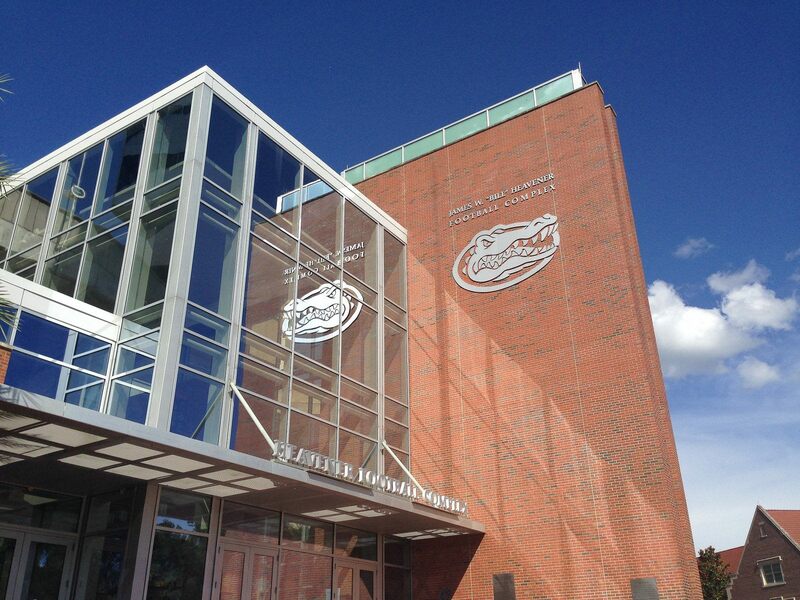 These were the last expansions of this scale, though one of the University of Florida’s biggest expenses came in 2003. 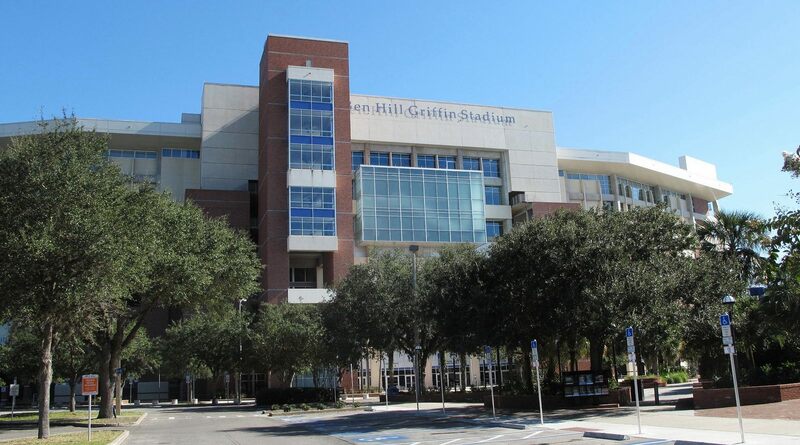 This is when a street west of the stadium was moved to make way for a new main building with extensive corporate facilities. 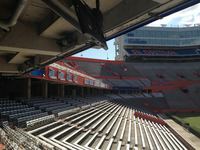 The press box above main stand in the west was expanded to create suites and business seats topping the entire stadium. 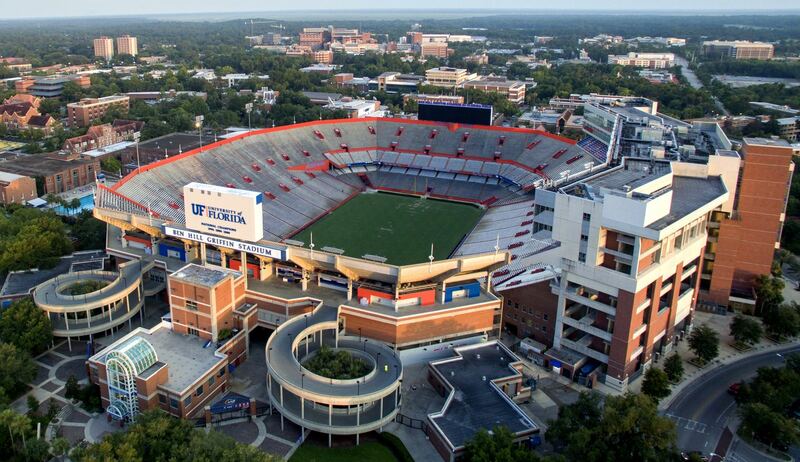 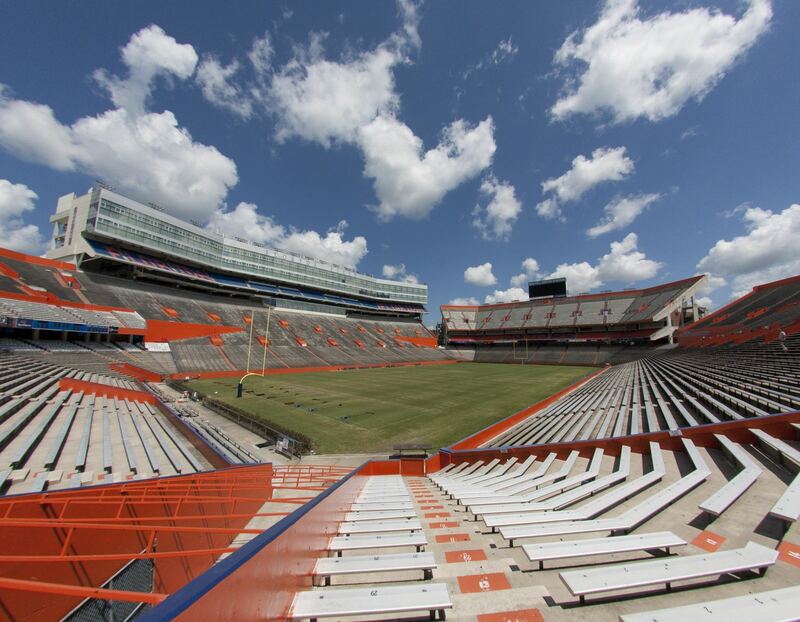 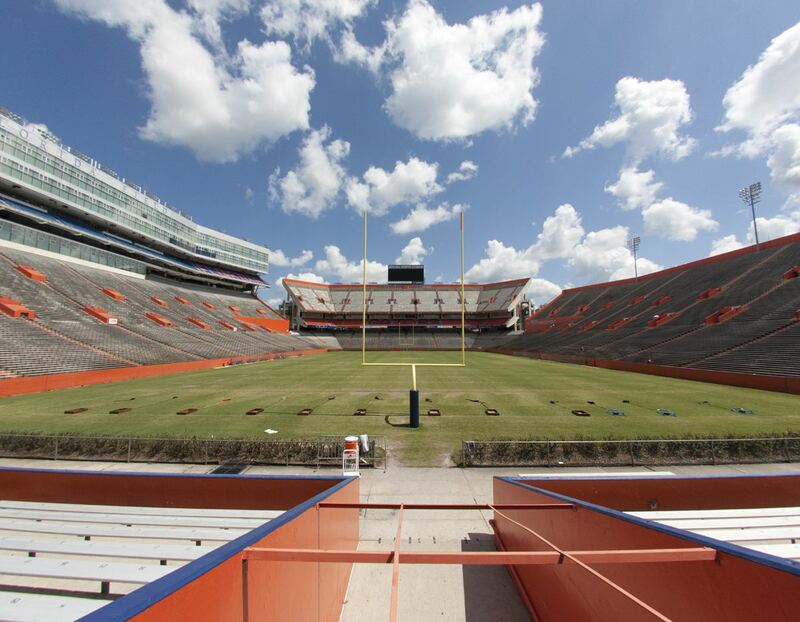 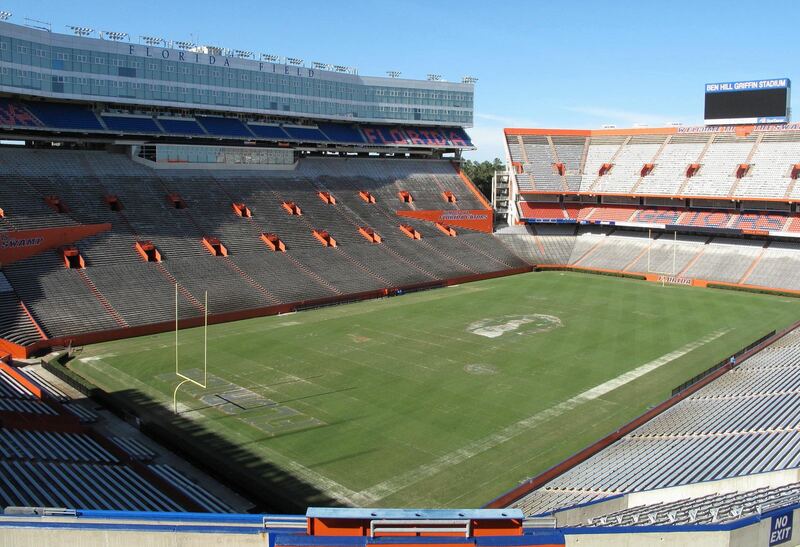 When initially opened, The Swamp was simply called Florida Field. 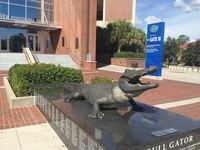 This was changed in 1989 to celebrate Ben Hill Griffin, long-time supporter who contributed largely to development of the university’s sports.